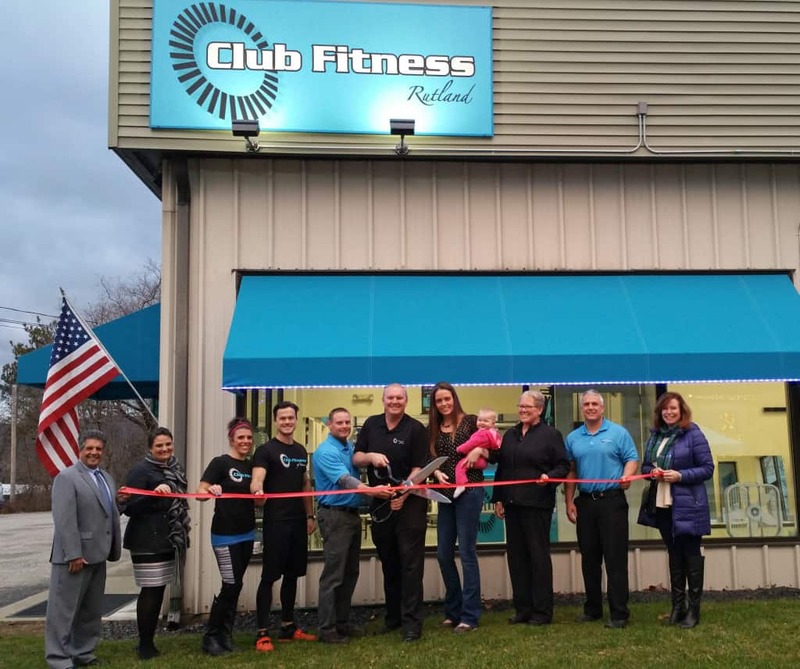 RUTLAND – The ribbon was cut by Sean Manovill at the Rutland Region Chamber of Commerce in celebration of the opening of Club Fitness in Rutland. Club Fitness offers brand new equipment, top level personal training, classes, a great atmosphere and no contracts. Club Fitness of Vermont focuses on client’s personal growth, physically and emotionally, according to Manovill. Club Fitness is located at 275 North Main St. in Rutland. Club fitness employees help cut the ribbon. Pictured (l-r): Sen. Brian Collamore; Sarah Traverse, Rutland Region Chamber of Commerce board of directors; Karly Bombard, Club Fitness; Kyle Finneron, Club Fitness; Jake Helm, partner; Sean Manovill, owner; Jeanine Manovill; Finley Manovill; Vy Swenson; Russ Ruyan, Club Fitness; Mary Cohen, executive director, Rutland Region Chamber of Commerce.